Filipino WBO World super bantamweight champion Donaire Jr. faces Zsolt Bedak of Hungary on April 23, 2016, at Cebu City Sports Complex. The four division world champion and the current WBO World super bantamweight champion from Talibon, Bohol, Philippines Nonito Donaire Jr. has finally scheduled for his first defense of his title. Donaire with the record of 36 wins including 23 victories by way of KO with 3 losses was defeated to Nicholas Walters in 2014 but really motivated and won his last 2 fights after got his another chance for the world title when he fought for vacant WBO World super bantamweight title against the Mexican warrior Cesar Juarez last December of 2015. Donaire Jr. really had a hard time dealing with his last opponent Cesar Juarez. They both warriors and they both exchanging hard punches but, in the end, Nonito Donaire Jr. won via Unanimous Decision. Donaire-Juarez fight became a candidate in 2015 fight of the year. 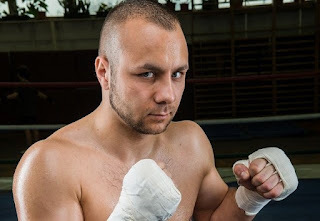 On the other hand, Zsolt Bedak of Hungary is 32 years old with the record of 25W(8KO)-1L. Bedak not a famous like Donaire was fought Wilfredo Vazquez Jr. in 2010 for WBO World super bantamweight title but lost via TKO. Donaire Jr is currently ranked no. 1 in the world while Bedak is at the 60th spot. Donaire-Bedak fight will be telecast late on ABS-CBN on April 24, 2016. Magsayo, Nietes will be possible fighters to join Donaire in the card.